SSC CGL 2018 Official Notification will be released in April 2018. Combined Graduate Level examination is conducted by SSC every year. SCC CGL 2018 Online Application process will be started very soon. The Examination will be conducted in three phases- Tier-1, Tier-2, Tier-3 and Interviews & Skill Test. SSC CGL 2018 Tier-1 Examination will be conducted from 25th July to 20th August 2018 at various examination centers in India. SSC CGL 2018 Application Process will be started from 5th May 2018. Official notice has released now, candidates may apply for the same. Age of the candidates will now be calculated as on 1st August instead of 1st January of the examination year. SSC CGL 2018 application forms can be obtained from the official website http://ssconline2.gov.in or http://sscregistration.nic.in. The application forms have to be submitted only through online mode. The applicants are required to fill all the details as asked in the application form. They are advised to keep the print out of duly filled application form for future reference. Education: Candidate must have done Graduation in any stream from a recognized university. Age Limit – Candidate’s age must be between 18 to 27 years old to be eligible for this examination. The Commission has decided to reduce the number of questions from 200 to 100 in CGLE Tier-I which would continue to carry 200 marks. The duration of Tier-I examination would be for a period of 75 minutes. The examination will be MCQ type and will be conducted through online mode. The question paper will be divided into 4 sections- General intelligence & reasoning, General Awareness/GK, Quantitative aptitude & English comprehension. There will be total 100 questions for 200 marks & the duration of the examination will be 75 minutes. There will be a penalty of 0.50 marks for each incorrect answer. Question paper will be divided into 4 sections- Quantitative ability (Paper I), English language & Comprehension (Paper II), Statistics (Paper III) & General studies (Paper IV Finance & Economics). The paper I & II are compulsory for all the posts & paper II is only for the post of Statistical Investigator Gr. II & Compiler & Paper IV will only be for the post of Assistant Audit Officer. There will be total 200 marks & the duration of the examination will be 2 hours. There will be a penalty of 0.25 marks for each incorrect answer in paper II. The examination will be of descriptive type & will be conducted only through offline mode. The applicants have to write essay/précis/letter/application etc. The examination will be of total 100 marks & the duration will be of 60 minutes. The duration of the examination will be 80 minutes for VH & Cerebral Palsy applicants. SSC (Common Graduate Level) CGL is a popular examination that every graduate student wants to qualify to get good opportunities. The competition level of SSC CGL is quite high because it is a tough examination. There are many graduates who apply for this examination every year but only very few able to succeed in the examination. It includes the knowledge about the environment, surrounding , events which had taken place in the recent past. Questions will be based on India, neighboring countries, Economic Scene, General Policy & Scientific Research, Culture, History & Geography. This will judge the candidate writing, ability to use and understand correct language which includes- grammar, idioms &phrases, a common error, sentence correction, fill in the blanks etc. Applicants are required to secure minimum marks to clear both the levels of SSC CGL Tier-I as well as Tier-II. If a candidate qualifies Tier-I then only he/she is eligible to appear for SSC CGL Tier-II. After qualifying the 3rd phrase i.e. Tier-III the candidate has to face the final round which includes computer skill test or skill test. CGL 2018 Tier-1 exam admit card will be issued on its official regional websites. The Commission will not send CGL admit card by mail post thus candidates need to download their CGL admit card thru online. Without the valid admit card candidates will not be allowed to enter the examination hall. Candidates can also download the admit card from this website. Candidates can check their performances in the exam with the help of CGL answer key. The Commission will upload the CGL answer keys after the exam on its official website. SSC releases an answer key every year for the candidates to verify their responses in the CGL examination. CGL exam result usually announced after one month from the exam on the official website of SSC. The result will publish online in “PDF” format having a list of qualified candidates. Given details are tentative, the final schedule will be updated release of SSC CGL 2018 Exam official notice. For more information, you may access SSC’s official website. Age limit for various post in SSC CGL is 18-27 year, however for SC/ST candidate there is a relaxation of 5 year above the upper age limit. so i think you may be eligible for SSC 2017. Of Course Manju !!! you can fell the all Category ..???? Mam m bhi sc category se belong krta or ssc. Cgl 2017 ki preparation krni target kitna achieve krna hoga ….. Yes, there is 5 yrs exemption of age for sc. My d.o.b is 01.01.1990..ana i am general category..
whether am eligible for applyung SSC exam in 2017… could u please guide me.. YES YOU FILL THE FORM BECOZ THE AGE CATERIA CHANGE NOW BY DOPT,PLEASE START PREPARING..
YOU WILL APPLY FOR ALL POST OF GRADE PAY BAND 4600 AND 4200 OK..
Hii man. How to prepare ssc cgl. note – if there is any query u can mail me i will try to solve it. Yes, Neetu singh as on 15.04.2017 Your age is 31 years and 8 months 15 days then you are eligible as per age relaxation given by SSC. This is LOKESH KUMAR from Taxmann Publication Pvt. Ltd., Delhi. You are eligible for examination of SSC CGL 2017. Age relaxation as per govt. norms if our age has been passed. actually i am in pre final year now and in july 2017 i will complete my graduation. Hi, I have same query as of pankaj. Are you sure that if I complete my graduation by august 2017 , will I be eligible for SSC cgle 2017? This is LOKESH KUMAR from Taxmann Publication Pvt. Ltd., Delhi. You are eligible for examination of SSC CGL 2017. I think that You are pursuing graduation and as well as you have not completed your graduation still yet. So, you are not eligible for the SSC CGL 2017 examination. But, You can preparation for the examination of SSC CGL. You can eligible for the next year. I hope u better understand what I am telling u by written communication. I am 26 yrs old. I would like to know whether there is any age relaxation for Hindu OBC.As I am planning to write exam on 2018. Is minimum age for ssc cgl 2017 is going to be 20???? And i will complete my bba in august 2017 will i be able to fill the form??? i will complete my graduation by the end of july 2017. Am i eligible for applying for cgl 2017? Is there any age relaxation for BPL card Holder ? Hi i am Manish Sharma n my date of birth is 26.06.89 & I am from J&K Please anyone can let me whether i am eligible or not for next year exam. I will complete my graduation by the end of July 2018. Can i’ll be able to give cgl exam in 2018. Hey my name is Ankit Sardana and I am pursuing final year of my graduation…my question is that tentative dates for tier 1 exam is in may but at that time I would be giving my final year exam so can i still prepare for the ssc cgl exam? i am in my final year and my degree will be completed by 2017. can i still apply for the ssc cgl 2017? This is LOKESH KUMAR and firstly, tell me in which month your graduation will complete.thereafter, I can tell u complete procedure regarding SSC CGL 2017 examination pattern. I hope u understand. Hi.. My name is Priya. My date of birth is 07-05-1989. So may I eligible for 2017 CGL examination? And i complete my graduation in June 2017 then i am eligible for SSC cgl 2017???? I am very happy for your act of kindness. How to prepare ssc CGL …I am new in this feild. ………..I am only 19years old. ……. Hi friends I am serving in defence forces. Is there any quota for ex serviceman in CGL. Please reply …. will u please tell the dates when to apply … ? hello sir ! my name is sukant kumar kar and my DOB is 18 sept 1990 sir can I apply for cgl 2017 exam? Hi, I am Emad Asgar. MY DOB is 05/10/1986 and I am an OBC candidate. Can I apply for SSC Cgl 2017? If yes, what all posts can I apply for. I was born on 22/12/1989, Am I eligible for CGL 2017? Hello! My dob 16/07/1997…at this current year i am in second year commerce(sybcom).i would be completing my graduation by 2018…so am i eligible to appear for 2017 examination??? Is there any sectional cutoff for ssc cgl exam ?if yes,how much will be the cutoff for each section (approximately)? if no, how can i get maximum marks by using that advantage? Hello need help. My DOB is January 1987 so will I be eligible for CGL 2017 exam? This is LOKESH KUMAR from Taxmann Publication, Delhi. Yes, u are eligible for the examination of SSC CGL 2017. Unfortunately, you are very for the 2017 SSC CGL exam.Wish you very very and good for the exam..You look always ahead, not behind. I hope better understand in your future. This is LOKESH KUMAR from Taxmann Publication, Delhi. Yes, u are eligible for the examination of SSC CGL 2017. Unfortunately, you are very for the 2017 SSC CGL exam.Wish you very very happy and good luck for the exam..You look always ahead, not behind. I hope you better understand. What Is All That ? My date of birth 05/81 can i apply any post st male cat. I HAVE REGISTERED FOR THE SSC EXAMINATION AND WANT TO EDIT IT ALSO REQUIRE PAYMENT FOR THE REGISTRATION.CAN I EDIT IT AFTER THE REGISTRATION DATE IS EXPIRED? what is the min. requirement for ssc cgl in respect of education? and from when 2017 application is available? Sir pls pls ans me tire 3 is mandatory for every post pls ditls tell me. Plz contact 8417909706 for any question related to ssc exam. Sir will the cgl 2017 increasing age limit to 30years?? My d.o.b is septmbr 1989. Can i apply next year? I’m born on 29th July 1990. My age is 26 now. Am I eligible for SSC-CGL 2017?? I’ll be 27 years old by 29th July 2017. Please someone guide me. Sir i will appear in bsc 3rd year in 2017. Can i also apply for cgl?? Hello I might serving in army and retirement on Jun 18. I am 42 of age on completion of 24 years service on retirement. May I eligible for entrance exam. Sir/mam, please tell me how much percentage required in SSC CGL in graduation. please tell me sir/madam may i eligible for this exam. i passed only 10th standard i’m eligible or not? Can after completing 13 i may eligible for ssc cgl exam? Hi i dont understand above information…! plz anyone tell me when the last date for applying ssc notification…? Did any of the post mentioned above belongs to the cybercrime investigation department ? My graduation will be completed in August…shall I eligible to apply? HiiiHiii my name is veerendra yogi i have passed mechanical diploma .so what can fill up ssc cgl exm 2017…rply please….. This is LOKESH KUMAR from Taxmann Publication,Delhi and firstly, tell me what is your present age. Hello sir I have completed my degree in a distance education. I want to know Sikkim Manipal university is a recognised or not. Please help me sir. what is the procedure for the same…??? desirous to be considered for medical colleges under IPU. Am I eligible for SSC CGL 2017 ? Can I apply for CGL 2017 ? 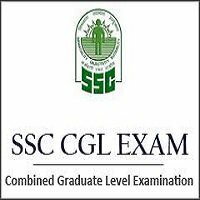 Does I am eligible for SSC cgl exam? guys this is poonam actually my dob is 28th march 1995. kya main 2017 ka cgl form fill ker sakti hun. but i m not graduate. mera abhi last year hai. Hey..!! Poonam ..Did you Qualify final exam..if yes then you can fell …..
hi,I’m doing B.E final year.can I write SSC cgl exam? Can u plz told me about book for SSC CGL preparation….and ya is there 3c or other any computer degree are necessary fr SSC CGL ….?? i am a bds doctor graduated in 2017. M i eligible for ssc cgl ??? if yes which post i can opt for?? when can i apply for cgl 2017?? Sir i Have done graduation with 47% marks. can I apply the ssc/cgl of any post or there is matter of %. please tell me. Can appearing student fill cgl form 2017? Form is not released yet?? Is it?? This is LOKESH KUMAR from Taxmann Publication, Delhi. Firstly, could you tell me..You are graduate or not. If you are graduated then you are eligible for the SSC CGL 2017 examination otherwise you are eligible for the CHSL (+2 based) examination. You understand what I am telling you. hi i want to apply for ssc 2017 but couldnot able to find the link to register myself and on some some sites they saying registration started from 11 of march. please help me out from where i can apply. sir, i am upasana singh (gen), 30 years old. may i eligible to apply for ssc cgl? Sir I born 3 Nov 1986 can I apply SSC? Hiiiii. I m in the last year of my degree. Can I apply for this exam. I’m pursuing my bcom last year. May I eligible for give this exam. I’m pursuing Bcom(h) last year. May i eligible to give CGL exams. sir, my dob is 5-3-87 am i eligible to apply for ssc 2017-18 plz reply me as soon as possible, i am general candidate. Sir…my d.o.b 15-05-1989.i belongs to general catogery ..so. can i apply for ssc cgl 2017? Last date is 15th April and the registration form is not available… How can we apply..
i am Musfeeq Alam.i am studying in NIT kurukshetra studying in b.tech 3rd year.so i want to know that can i apply ssc cgl 2017 .my graduation will be completed in may 2018.
hello sir I’m in final year of graduation can I apply for SSC cgl 2017-18. Hi. I want to apply application through ex- service man quota. I am a general candidate. What is the age relaxation for me. Please tell me in details. Hello sir! My dob 07/04/1996…at this current year i am in third year b.tech(ECE).i would be completing my degree on may 2018…so am i eligible to appear for ssc cgl 2017 examination? Hello sir ….I am pursuing B.E. 3rd year last exam now my last year left so i m eligible for thi exam … Plz tell me sir…?? Hello sir, I will be completing my degree in May 2018 and I am 20 nw. Could you tell me whether I can apply for this year’s exam atleast for the sake of experience? Only tier 1 and 2 and not certificate verification. I want to apply for ssc exam but I am confused because my name in 10th mark sheet and graduation will be of different spell. So how can I registered in ssc . Plz reply to my mail as fast as possible. Maze h SC k to bhai general to marne k liye h paida hote h! RAMJI KEH GAYE SIYA SE IK DIN AISA AYEGA GA HANS CHUKEGA DANA BHAIYA KAVVA MOTI KHAYEGA KHAO MOTI TUM SC KALYUG H! Hi plz tell me..which post need physical reqmnt my hight 5.3 feets..and i hve sight prblm ..for which post im not eligible..and my qlfication btech..
i am also confused about my future..please give me some advice.. I completed my graduation by may 2017.Am I eligible for cgl 2017. Silly people.. if u can’t understand the criteria mentioned in the notification as provided by ssc deptt then why you people are applying? I don’t understand how this people will clear exam if they can’t even understand the notification provided… take it positively guys!! Dont be so silly. My DOB is 22061990.General category completed degree, please guide for which post can I apply. Hi sir Mene may- 2017 me exame diye he per abhi result announce nahi hua he.. but can I eligible. while i am applying…in post preference i am getting only FOUR options why it is happening like that….my DOB is 30-08-1991…can any one please clarify me ???? I have applied for ssc cgl 2017, after the completion of form and payment i supposed to receive an email according to ssc exam guidelines given on website. But i havn’t received any email so far. Can anyone suggest me what should i do. I also tried to email them but i couldnt able to find any email address. pz help me out. SIR , please help me to make registration for ssc cgl 2017, bcoz when i make new registration its says that u have already registered ,but i have never registered yet…what i have to do??? pls tell me how much percentage required in graduation for cgl exam 2017. specially for general candidate. So m Eligible for the Form. Sir presently I am working in Indian Air Force.I will get NOC in the month of Aug 17 so can you advise me whether am I eligible or not. Kya m ssc cgl exam de skti hu ? btech computers ..which ssc selection post can i apply for?? and kindly explain me the need of this another exam ??? I have filled the application form, and also made the payment. Now, when i open “Check your application status” tab, it says that the pic is blurred and the signature would be rejected. What to do? Help required. my DOB IS 1980,can I apply for ssc cgl examination 2017 (OBC). i can,t understand exactly what should be send to center,after filling online application form. Can I edit the form after submit. Hi i am jagadeesh Can you please any one send me the link for apply online SSC CGL. In the application 13th Line Item as follow- What it stand ?? Sir maine March se 15 April k bich jo ssc cgl k foam fill kiye the inka ab tak ye pta ni chal paya ki unke exam kab honge. Or admit card ka bi ni pta chala. i have apply for the exam myself. the registration part has completed but i have not receive any registration number. then what to do…shall i register again..
i did all process its ok, but my photo and signature is not uploading, i have saved my photo in JPEG, JPG, PNG also i did take care of size too. but it always saying upload JPEG file. can some one give me the list off book’s to prepare for the exam ?? Exam date to aa gayi hai…to ab sirf online study karo …current affairs and old question papers. hello sir ,ye jo relaxation hai sb sc/st walo ko hi kyu diye jate hai??????????? I ll be completing my degree (B.COM)by July 2018 so am I eligible?? hi i am form ST catagory and my height is 5 …n i have completed computer engineering…so which post of SSC i can apply for…and is there any need to select any perticuler post or at the same time we can apply for many posts…please advise me..
and the upcoming exams in SSC AND THEIR TIME TABLE..
Sir I have forgot my registration no. so pls help me. Hi m Suman pant my d.o.b is 27 Jan 1988 .can I fill the form I belong to gernal category pls guide me …. Hello Sr, I am priya can you tell me lst year cutoff marks i want to know the cutoff score of last year. what should be the expected cutoff this year? hello sir, nya notification kab aayega.……..